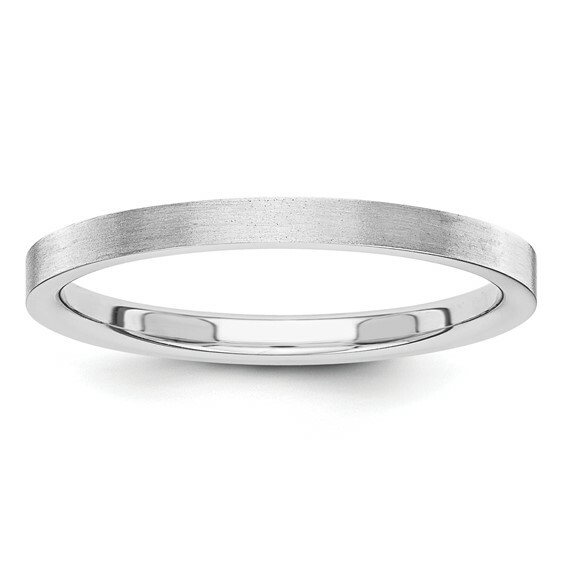 This 2mm flat wedding band is made of solid 14kt white gold. Size 7 band weighs 2.19 grams. Flat edges, satin finish. Thickness: 1.5mm.